Senate President, Dr. Bukola Saraki has announced that he will approach the Supreme Court after the Court of Appeal dismissed his suit today. Saraki approached the court of Appeal, praying that the court stop the Code of Conduct Tribunal from an ongoing trial against him. He is currently on trial at the Code of Conduct Trubunal after the Code of Conduct Bureau brought a 13 count charge against him. Saraki’s lawayer claimed that the tribunal was not properly constituted as it required three members instead of two. 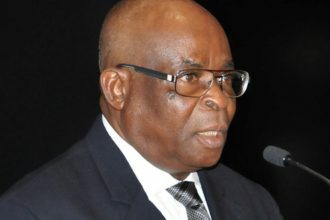 However, the Justice Moore Adumen panel ruled that the code of conduct Tribunal did not require a quorum ad could well function with the chairman and one other member. While the trial continues, Saraki’s counsel will proceed to the Supreme Court to once again challenge the authority of the CCT, perhaps given hope by the fact that of the judges of the Appeal Court, Justice Joseph Ekanem, found merit in his appeal.